Cosy little corner where I got my nails done, comfortably air conditioned. Wall of portfolios and different kind of services that she offers. Huge array of nail colour to choose from. Plenty of manicure tools to shape and buff your nails to perfection. Sample colour palette for you to choose from. I sent Sophia an image of the kind of nail art that I'd like to have before I went down, and she explore the design in four different colours for me to choose from. I did the pink one! Tadah!! Here's the end result and I'm loving every bit of it. Isn't it really gorgeous? It got me plenty of compliments! Visit her Facebook page HERE for more information. Get the similar set of nails as mine at ONLY $40 (usual price $50)!! You can customize it by choosing your own colour combination! Valid from now till the 18th of August. 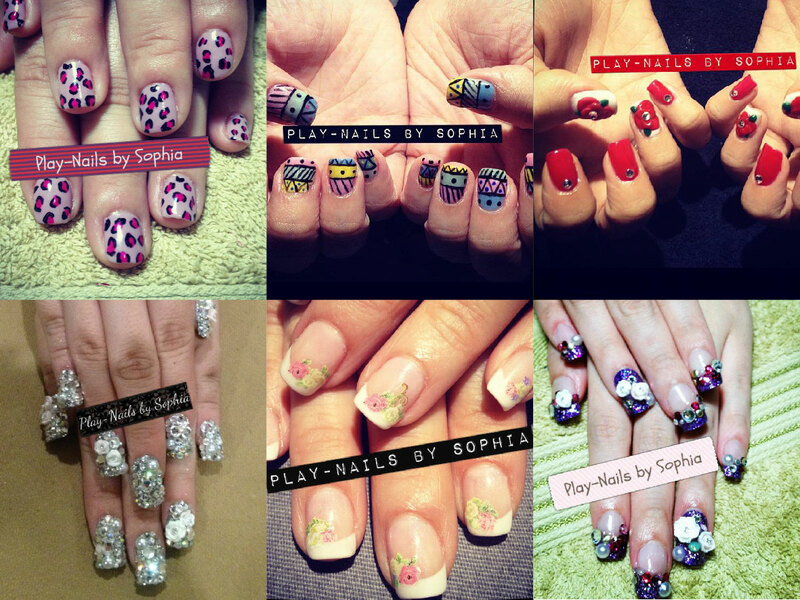 PLAY NAILS WILL BE AT SCAPE ON THE 21ST JULY, SATURDAY! 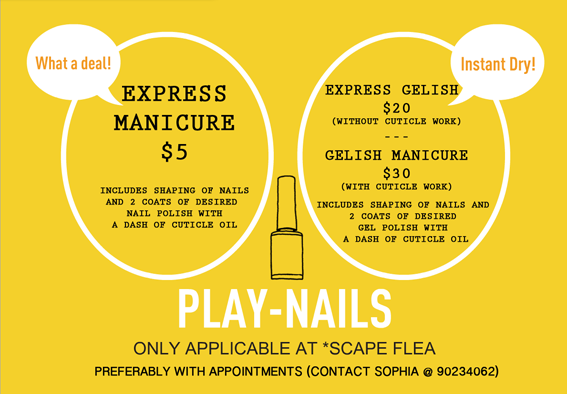 Head down to Orchard Scape to get your nails done by Sophia! Only $5 for an express manicure!! That's an insanely good deal!! So hurry and book an appointment with Sophia NOW! !